Prep your family. Make sure phone numbers are written down (not just on phones), in case batteries go dead or service is inaccessible. Create a plan for weather emergencies. Ensure older children can find emergency supplies if power goes out before parents are home. Prep your car. Invest in good tires, confirming they're in top condition to avert accidents when road conditions are poor. Catch up on car maintenance and manufacturer recalls. Store emergency supplies, like jumper cables, a first-aid kit, blankets and safety flares, in your trunk. Prep your home. Create an emergency box with flashlights, batteries, water, non-perishable food and first-aid kit. Be prepared for power outages by investing in a generator. 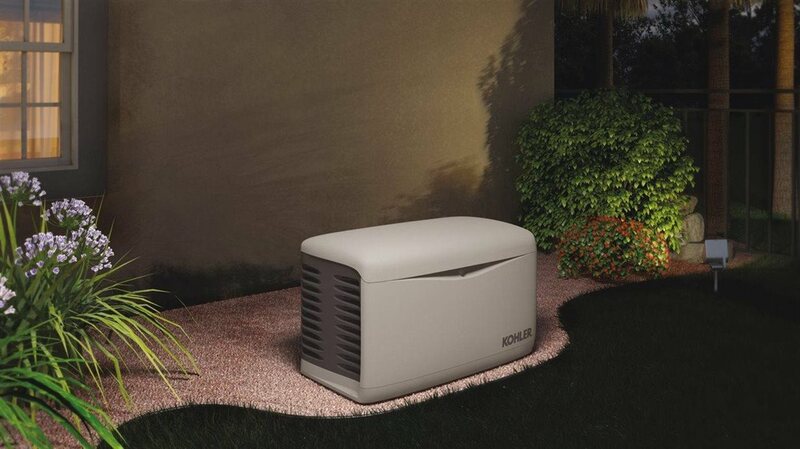 Kohler automatic standby generators are permanently installed outside a home and turn on within seconds of a power loss, even when nobody is home.